Daina, 20 years old Transgender working as community coordinator with GAURAV organisation from last two years. Daina is also a member of Youth Voice Count (YVC). Also worked as Mentee under Mentor Mr. Kumar Shetty for IGNITE, a peer-led 2 year mentorship program that fits in with the mission of YVC to create a strong network of young MSM and young transgender people in Asia and the Pacific. Which worked for “Raising awareness among college going and non-student youth on transgender persons in the Maharashtra state INDIA” with support from YVC and GAURAV. Navya Singh and Saiba Ansari, Mumbai based, Trans men voluntary associated with GAURAV organisation form many years participated in Miss Trans queen INDAI 2017, also in top 10 finalist. Navya Singh is associated with organisation for Transgender empowerment from beginning and recently she participated in Miss Trans queen INDIA 2017. She successfully manage to became top 5 and won Miss Talented 2017. 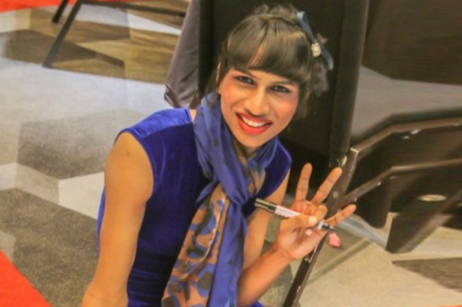 She is first Trans men to walk the ramp for the annual Lakme India Fashion Show. GAURAV is working for Transgender community under HIV/AIDS and STI Prevention Project Supported by Maharashtra State AIDS Control Society (MSACS) in Nagpur district till date. Organisation also worked for Transgender in Aurangabad district till September 2016. Kindly find following key indicators with respect to service delivery for Transgender community members. 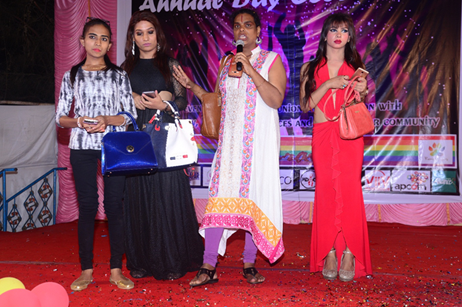 In developing country like India, Transgender commonly called Hijra are more into Gharana System and organisation is working for empowerment of transgender communities through their active participation and engagement in various organizational activities making them independent and decision makers in two small district of Maharashtra state, Nagpur and Aurangabad.